indie mainstream news artist lectures interviews music contest opportunities and much more. 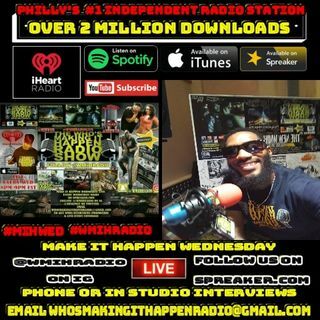 Contact us for music spins drops commercial promo ads interviews at the email below. Follow us on Spreaker.com for chances to win cash concert and sports tickets. We offer artist video and magazine placement as well as live performance opportunities thru our partners Real Deal Music Management Graffiti On The Wall Magazine Makin It Magazine Coast 2 Coast and many more.